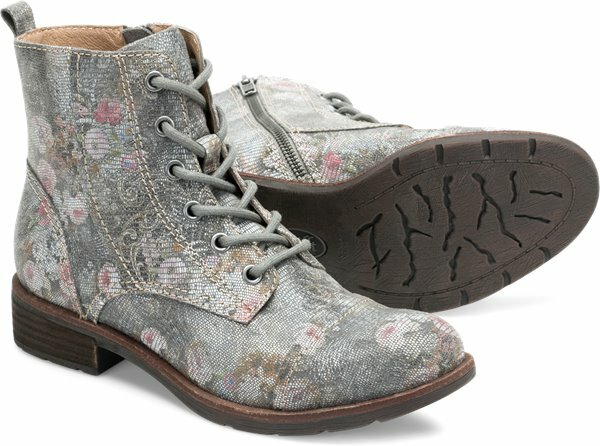 Product description: A cap toe lace-up bootie designed in rich leathers. LOVE these! The look, the fit, the comfort! 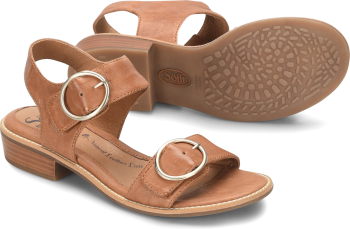 I can wear them for hours and still have happy feet at the end of the day. Only one negative: after only a few wearings, the heels were having some peeling of the covering that makes it look like a stacked heel. I'm concerned that it will peel more. Love the look of these! Seemed to fit very tight in the width (unlike other Sofft boots that I have), but I do have wide feet. The length was true to size. I'm working on breaking them in slowly....They are getting better & I'm confident that soon I'll be able to wear them comfortably for longer periods of time. I LOVE the look of these boots but the fit was super weird. They are SO narrow I can barely get my foot in them, and I don't normally wear a wide shoe. But they are super long and are .5 size too big in length. So bummed that I have to return them. I wish they made them in a wide so they would fit me. Comfortable. 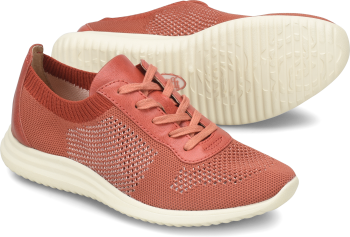 Looks narrow, but it fits my kind-of-wide feet well. And the top of the boots are not big, so they fit under tight jeans nicely. 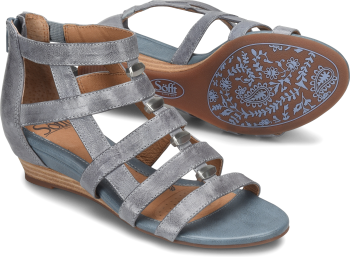 I buy Sofft shoes for the wonderful fit, unique style and comfort. 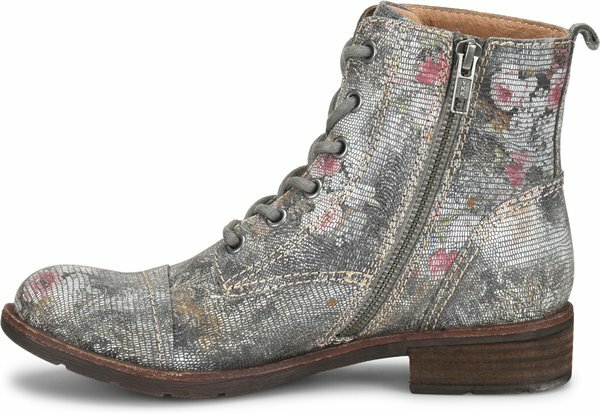 I added this pair of boots to my collection because of the color and print. 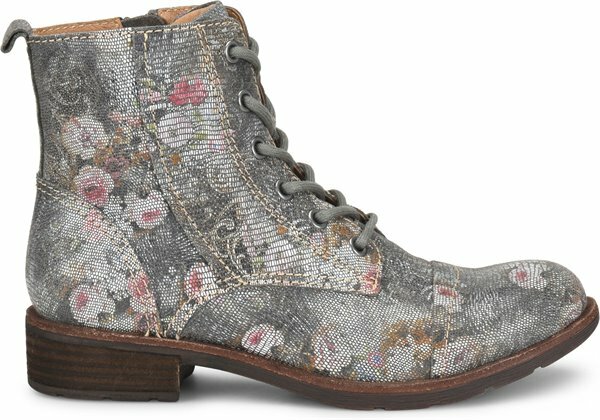 Italian floral printed leather, a work of art for my feet and my soul?????? I love the lace up look comes with a zipper too!